Feb. 23, 2017, 5:37 p.m.
State power transmitter Ghana Grid Company Limited (GRIDCo) must not be listed on the Ghana Stock Exchange (GSE) as planned by the Akufo-Addo government, energy think tank Africa Centre for Energy Policy (ACEP) has said. President Nana Akufo-Addo on Tuesday, 21 February said in his maiden State of the Nation Address to parliament that the possibility of listing state power producer Volta River Authority (VRA) and GRIDCo on the Exchange is to be explored as part of measures towards fixing the energy sector and clearing its “heavy indebtedness”. Additionally, the president said his government has begun to develop a national electricity masterplan, which will also explore the benefits of listing VRA and GRIDCO on the Stock Exchange. According to him, his predecessor John Mahama left behind a heavily indebted energy sector. “The attempts by the previous government to resolve the dumsor crisis have led to a gargantuan debt overhang in the sector,” Nana Akufo-Addo said. “The cost of energy destroys businesses large and small. It destroys jobs. It compounds poverty. The current state of the energy situation in our country is unsatisfactory,” he said. “GRIDCo is a strategic nexus of the power sector with control over the entire transmission system, which is makes it a critical national security infrastructure. PRESIDENT’S POWER SECTOR POLICIES COMMENDABLE BUT SILENCE ON PETROLEUM SECTOR POLICIES REGRETTABLE. The Africa Centre for Energy Policy wishes to congratulate the President on delivering his maiden State of the Nation Address (SONA). We recognise the bold and progressive initiatives announced in the SONA to tackle the power sector challenges which pose significant threat to the stability of the sector and the economy as a whole. 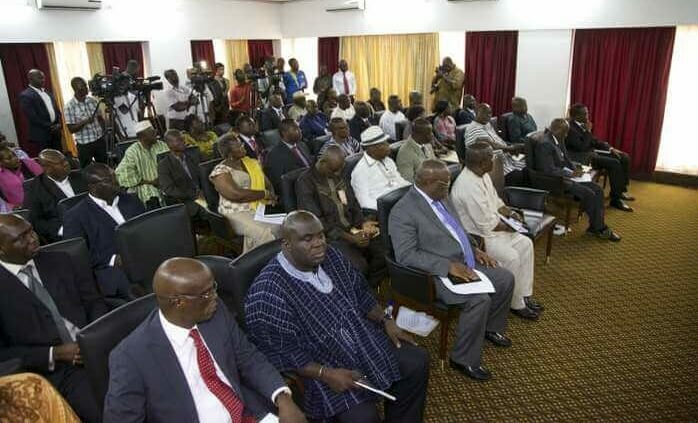 We, however, regret the apparent silence on the oil sector which has also become an important part of the development trajectory of the country and requires similar attitude to continue the reform of the sector to ensure that the extraction of the resource is properly linked to Ghana’s socioeconomic development. We understand that the SONA focused on broader policy commitments. We, therefore, expect the budget to detail out the specifics of the energy sector policies. We further expect that the Minister of Energy will present a comprehensive strategy on how government intends to deal with the specific challenges identified. 1. The important connection between reliable power and affordable power was well established in the SONA. It is true that power is expensive in Ghana. It is virtually impossible for Ghanaian businesses operating at the average tariff rate of 42 cents per kilowatt hour (kwh) to be competitive compared to the West African average rate of 15 cents/kwh. ACEP is pleased that the government has already initiated a review of existing power agreements. This is particularly a bold decision that cannot wait any longer. We recognise that the combined effects of the energy sector debt and excess capacity resulting from the numerous power agreements signed could be hazardous in the near future. The World Bank estimates that Ghana could be faced with some $2.5 billion liability annually from capacity charges on excess capacity alone, if all the power generation contracts come into force. The probable cost of excess capacity charges could have been below the World Bank’s current estimate had the government heeded ACEP’s warning in 2015 when we estimated such cost at $360 million. It is, therefore, important to wean Ghana off this looming catastrophe. In view of this, we recommend that government should be transparent about the review process by involving all relevant stakeholders to engage on the reform and examine the options. 2. We observe that the signing of Power Purchase Agreements (PPAs) by ECG has not been consistent with power sector planning. We, therefore, recommend the Ministry of Energy to take steps to regulate the signing of future PPAs. This should include steps to review the process of granting and tenure of PPAs ECG signs. 3. Another important policy promise in the president’s address was the introduction of competitive tendering process in the procurement of additional generation capacity to improve on transparency, ensure value for money and address the problem of unplanned procurement. We urge the government to take steps to link this policy resolve with the immediate passage of the Right to Information Bill to improve public participation in the process. 4. The president also indicated the need to review the Renewable Energy Act. 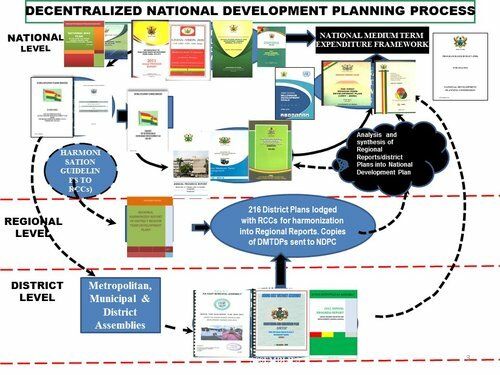 Though this is in the right direction given the huge bureaucratic bottlenecks and discretionary incentives, we want to see urgent steps taken by the Energy Commission to examine renewable options and facilitate investment in baseload options such as biomass, which is acknowledged to provide large employment and reduce Ghana‘s dependence on imported fuel for power generation. 5. The President announced plans to list both GRIDCo and VRA on the Ghana Stock Exchange as part of a national electricity masterplan. This is not a position ACEP supports. GRIDCo is a strategic nexus of the power sector with control over the entire transmission system, which is makes it a critical national security infrastructure. Government should continue to control and own GRIDCo 100%. On VRA, our proposal is that government should consolidate all hydro generation under VRA and separate all the thermal plants into a subsidiary of VRA Holding Company. Government can then list the thermal subsidiary on the Ghana Stock Exchange. We agree that the petroleum sector was not the only sector not addressed in the SONA. However, the sector is so threatened by inadequate investment, non performing contracts, abuse of oil revenue and revenue volatility. At the same time, oil revenues have become an important part of the capital budget of the country which is linked to many sectors of the economy. This makes it imperative to have heard from the president on the broad policy commitments for the sector, some of which may not be captured in the budget. 1. Aggressive investment attraction through competitive tendering in consonance with the Petroleum (Exploration and Production) (E&P) Act, Act 919 – Urgent investment in upstream is needed to sustain revenue flow from the sector. Otherwise, when production from the Jubilee, TEN and Sankofa fields start to decline, revenue from the sector will also decline. 2. Continue the development of regulations on the E&P Act - The past government started the development of regulation on the Act and we would want to see the current government continue with the process, particularly regulations on contracting. 3. 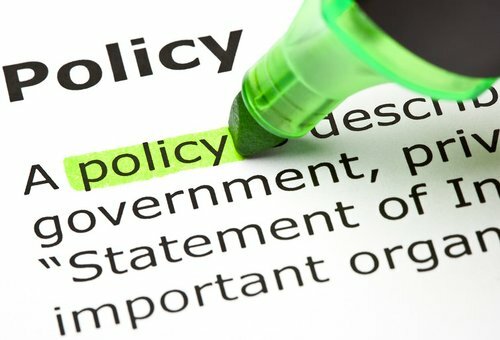 Government should take steps to review nonperforming contracts - There are currently many petroleum contracts that are not delivering on their work obligations. The government should take steps to cancel such contracts or activate sanctions that may apply. 4. Invest revenue in pro-poor sectors of education and agriculture – Government must recognise that the oil revenues are not enough to solve all our problems. We, therefore, recommend that the strategic focus should be on education and agriculture in the next three-year prioritisation window.